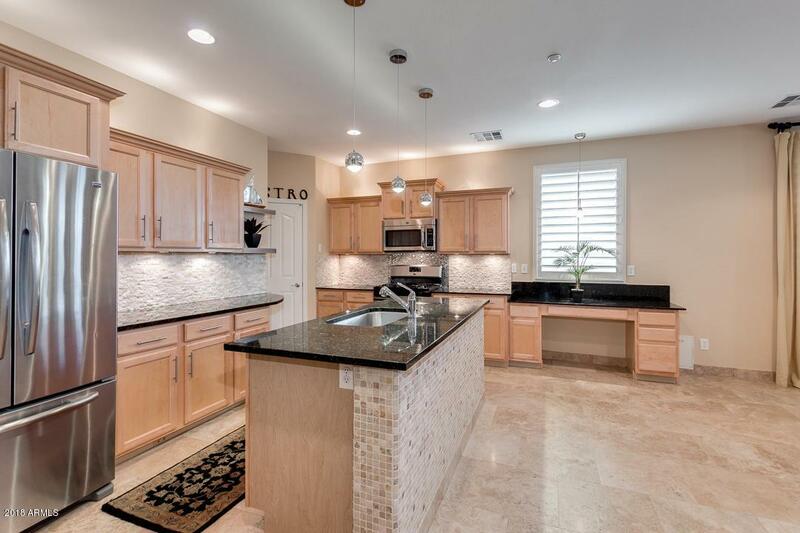 Highly upgraded executive level home in the highly sought after community of Vistancia Village. This 3 bedroom 2 bathroom home features stone accents, natural stone floors, plantation shutters and custom paint. 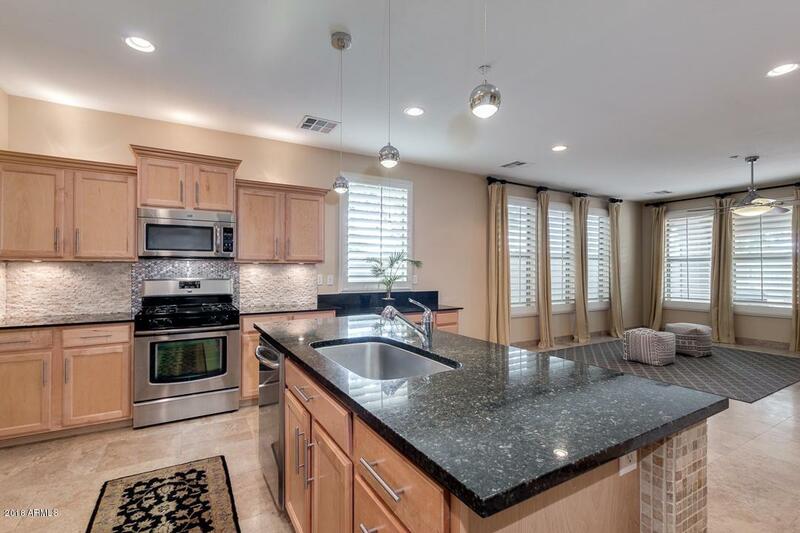 Open kitchen with granite counter tops and stainless steel appliances. 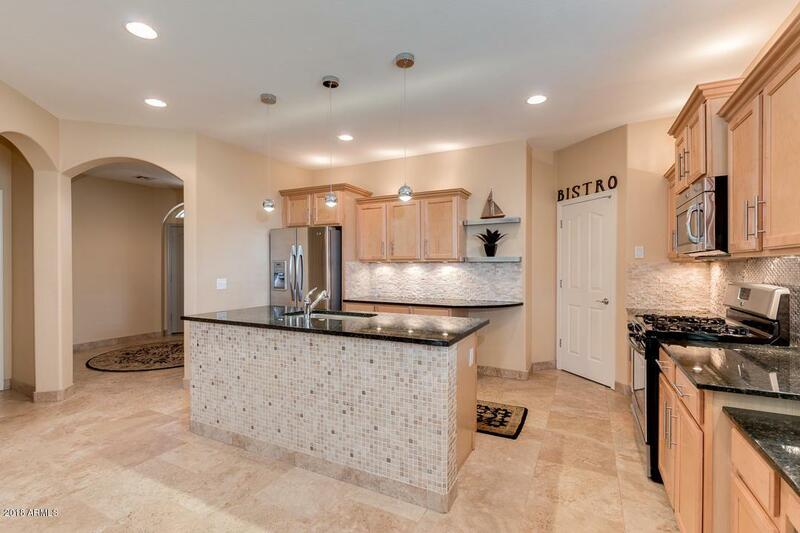 The kitchen opens to a large great room with custom gas fireplace wall. The large master bedroom is split from the other bedrooms in the home and master bathroom offers separate bathtub/shower, double sinks and large walk in closet. There is a bonus room that could be used as a formal dining room, den/office or turned into a 4th bedroom. The backyard is a tranquil setting with tons of privacy boasting a covered patio, saltillo tile, gorgeous above ground spa and a built in JenAir BBQ with custom tiled islandthat is perfect for entertaining. This premium lot backs up to a quiet desert wash with view fencing. Enjoy your evenings on the patio or gather around the custom fire pit with family and friends on those cool Arizona nights and watch the beautiful sunset. 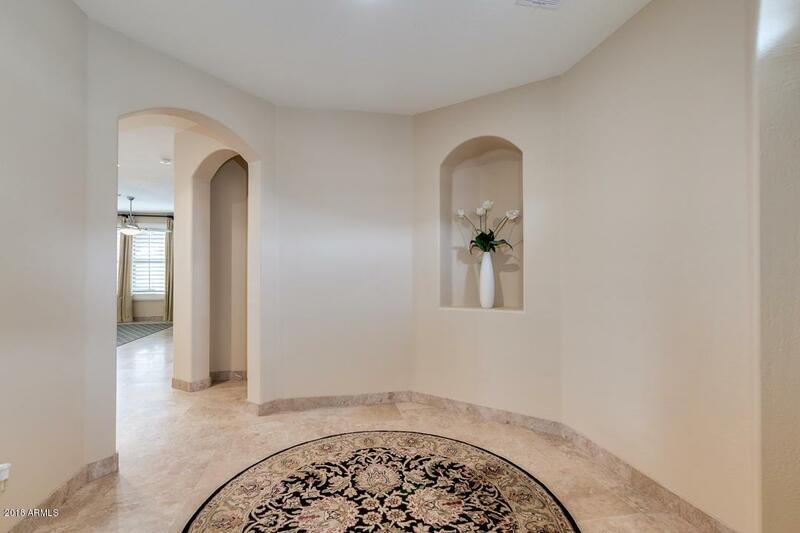 Residents of the Vistancia Village community can enjoy easy access to the Loop 303, Shopping Centers, Discovery Trail, MVC Clubhouse, Foothills Recreation Center, Swimming Pools, Water Slides, Tennis Courts, Basketball Gymnasium and much more!